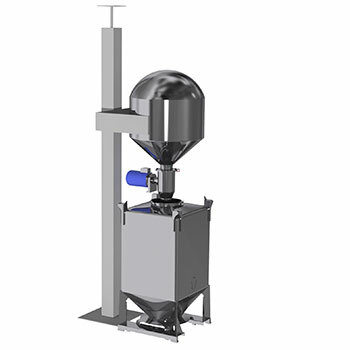 With IBCs up to 3500L capacity, the Matcon IBC system provides the flexibility for collecting lots - either one granulation lot or maybe multiple lots in a single IBC. This Lean approach of using large IBCs for collecting lots means fewer are needed overall to run the process. Consequently there are fewer movements of IBCs, less make/break connections, reduced testing cycles and less cleaning. These all contribute towards improved efficiencies and reduced manpower. Collecting lots & homogenising them after drying gives reassurance of product consistency. In the past, large IBCs have presented problems with powder flow, however Matcon IBCs have been proven to overcome these issues due to the Cone Valve technology within each bin. 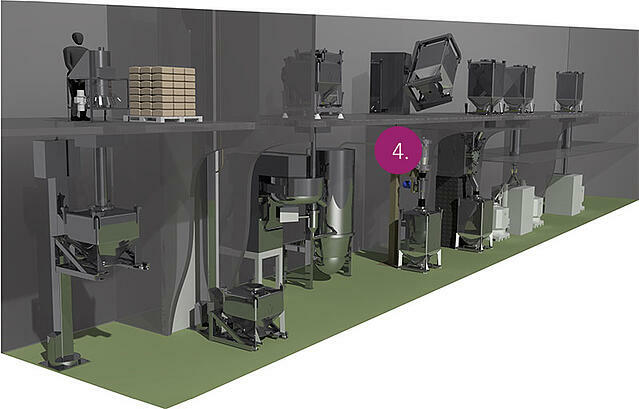 This delivers a controlled, automatic discharge of material and protects against mix segregation. Large IBCs up to 3500L available for combined Lots. Enables blending to take place within the IBC. Closed filling below the dry mill.